Some providers look for any excuse to discourage people from Vaginal Birth After Cesarean (VBAC). They might tell you that you're not a good candidate for VBAC because you are too old, too fat, too short, that you have to have your baby before your due date, that you've gained too much weight, and on and on. One of the tools that is sometimes used to discourage VBAC is the prior dilation in the previous labor. Some have been told that if they dilated nearly all the way or even all the way to 10 cm, they have little or no chance at a VBAC. Others have been told the opposite, that if they didn't dilate very far previously, their chances of VBAC are low. But what does the research actually say? A New York study (Hoskins and Gomez 1997) was one of the first studies to look at prior dilation and its association with later VBAC. It found a much greater VBAC rate in those who had a c-section at lower dilation. The VBAC rate at later dilation was only 13%. However, this is the only study I could find that had more VBACs in the group with less dilation. But because this 1997 study was the first one to really examine the question, its findings have stuck in many doctors' memories, despite contradictory studies, so you sometimes still hear this argument. A small Nigerian study (Onifade and Omigbodun, 2003) found that prior dilation had no influence on later VBAC. They concluded, "the maximum cervical dilatation reached before primary caesarean section need not be factored into a decision for VBAC." On the other hand, most studies have found that the greater your dilation in a previous labor, the better your chances at a subsequent VBAC. One 2001 Canadian study found a higher VBAC rate (75%) among those whose cesareans occurred after dystocia in the second stage of labor/after full dilation. Do note, though, that the group where dystocia occurred in the first stage still had a 66% VBAC rate. A Korean study (Kwon 2009) also found that those with greater prior dilation had more VBACs. A Danish study (Abildgaard 2013) had a very low overall VBAC rate but even so found more VBACs in those with greater prior dilation. N=373 women had a Trial of Labor. Those with 4-8 cm dilation before their first cesarean had a 39% VBAC rate, whereas those who were fully or nearly fully dilated at cesarean had a 59% VBAC rate. ... increasing cervical dilation in first labor decreased the risk of repeat cesarean in second labor. The adjusted RR of repeat cesarean was 2.48 with dilation ≤5 cm, 1.98 with dilation 6-10 cm, and 1.46 if fully dilated. CONCLUSIONS: Almost 70% of all women eligible for trial of labor after cesarean had a vaginal birth, even women with a history of labor dystocia had a good chance of success. A greater cervical dilation in the first delivery ending with a cesarean was not in vain, since the chance of vaginal birth in the subsequent delivery increased with greater dilation. Overall, the research suggests pretty strongly that the more dilation you had previously, the better your likelihood for a VBAC later. Why might that be? Perhaps the key is how ripe the mother's cervix was before labor (a ripe cervix dilates more easily), and that once you've fully dilated once, you're likely to again. What it doesn't mean is that someone who didn't dilate very far the first time is a bad candidate for a VBAC. As the Swedish study above points out, "even women with a history of labor dystocia had a good chance of success." But really, in the end, who cares how many centimeters you dilated last time? The point is that with patience and a supportive provider, most people will have a VBAC, regardless of risk factors. That's all you really need to know. As the top graphic of this post points out, VBAC is woefully underused. About 90% of those with prior cesareans are eligible for a VBAC, yet only about 10% end up having one. 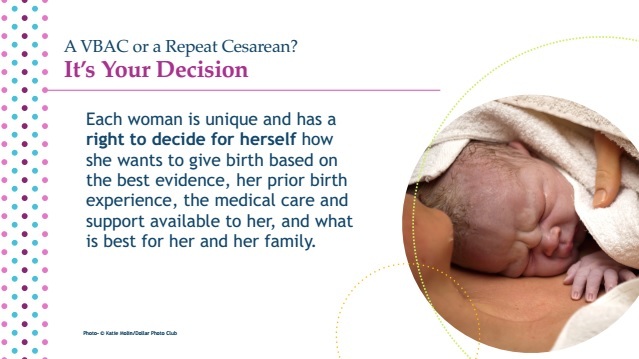 Yes, some people choose repeat cesareans, and some people labor for a VBAC but end up with another cesarean. However, the biggest reason for the low number of VBACs is because VBAC has been strongly discouraged by many providers. Some providers won't support VBAC at all. Others pretend to be supportive but place so many limitations on a trial of labor that almost no one gets a VBAC. Others limit trials of labor to only those with the MOST favorable risk factors. Providers, stop making excuses. Don't use prior cervical dilation or past arrest disorder or gestational age or Body Mass Index or maternal age or any of a thousand other lame excuses to discourage people from a VBAC. Arbitrarily limiting VBAC to those with only the most favorable factors makes the repeat cesarean rate far too high, results in far too many complications, and does more harm than good. Our skyrocketing rate of placental abnormalities, cesarean scar pregnancies, and maternal mortality rates reflect that. Sure, certain factors may make a VBAC slightly more or less likely, but the stark truth is that the majority of those who labor will have a VBAC, even when there are less favorable risk factors. Stop looking for excuses to not support VBAC. Stop the high-handed paternalism that peremptorily decides birthing choices for others. Stop infantalizing women and taking away their autonomy to make their own medical decisions. People should be counseled about the benefits and risks of each option, but in the end the final choice belongs to the mother. Unless someone has a legitimate medical contraindication, stop discouraging people from pursuing a VBAC if they want one. ... We investigated the association between indication of first cesarean and cervical dilation during labor preceding the first cesarean and risk of repeat cesarean in women undergoing trial of labor. MATERIAL AND METHODS: A population-based cohort study using electronic medical records of all women delivering in the Stockholm-Gotland region, Sweden, between 2008 and 2014. The population consisted of 3116 women with a first cesarean undergoing a trial of labor with a singleton infant in cephalic presentation at ≥37 weeks of gestation... In women with a cesarean due to dystocia, increasing cervical dilation in first labor decreased the risk of repeat cesarean in second labor. The adjusted RR of repeat cesarean was 2.48 with dilation ≤5 cm, 1.98 with dilation 6-10 cm, and 1.46 if fully dilated. CONCLUSIONS: Almost 70% of all women eligible for trial of labor after cesarean had a vaginal birth, even women with a history of labor dystocia had a good chance of success. A greater cervical dilation in the first delivery ending with a cesarean was not in vain, since the chance of vaginal birth in the subsequent delivery increased with greater dilation. ... DESIGN: Retrospective study. SETTING: University hospital in Copenhagen capital area. 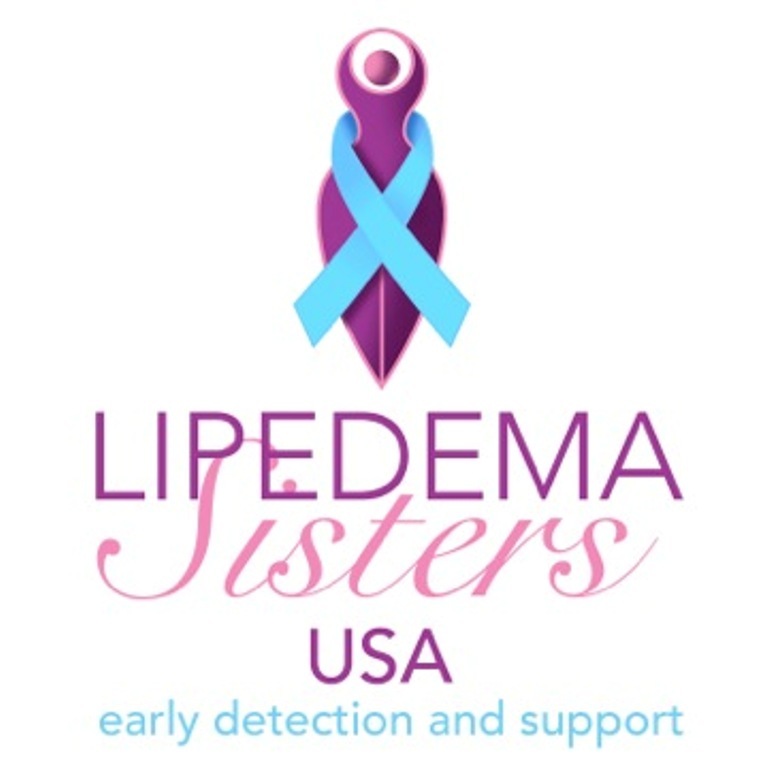 POPULATION: All women with a prior cesarean section due to dystocia who had undergone a subsequent pregnancy with a singleton delivery during 2006-2010. METHODS: Medical records were reviewed for prior vaginal birth, cervical dilation reached before cesarean section and induction of labor, gestational age, use of oxytocin, epidural anesthesia and mode of birth was collected. RESULTS: A total of 889 women were included; 373 had had a trial of labor. The success rate for vaginal birth among women with prior cesarean section for dystocia at 4-8 cm dilation was 39%, but 59% for women in whom prior cesarean section had been done at a fully or almost fully dilated cervix (9-10 cm) (p < 0.001). Among the women with a previous vaginal delivery prior to their cesarean section, the success rate for vaginal birth was 76.2%, in contrast to 48.9% in the group without a previous vaginal delivery (p < 0.01). CONCLUSION: Women who had a trial of labor after a prior cesarean section for dystocia done late in labor and women with a vaginal delivery prior to their cesarean section had a greater chance of a successful vaginal birth during a subsequent delivery. ... The medical records of women attempting VBAC between January 2000 and February 2008 were reviewed. 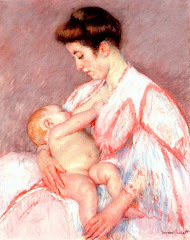 All women had only one previous cesarean and underwent spontaneous labor. RESULTS: Among 1148 enrolled women, 956 (83.3%) achieved a successful VBAC. Birth weight, previous indication for cesarean delivery and oxytocin augmentation were significantly associated with VBAC outcome. By multivariate analysis, a cervical dilatation >or=8 cm at previous cesarean was independently predictive of successful VBAC in women with a previous cesarean for non-recurrent indications (p = 0.046), yielding a VBAC success rate of 93.1%, whereas the extent of cervical dilatation at the previous cesarean did not affect the outcome of subsequent delivery in women with a previous cesarean for recurrent indications. CONCLUSIONS: Women with cesarean for non-recurrent indications who achieved a cervical dilatation >or=8 cm may be the best candidates for VBAC, with the greatest likelihood of a successful VBAC. Labor progress at previous cesarean can serve as a valuable indicator for VBAC outcome in women with a previous cesarean for non-recurrent indications, and therefore should be discussed as part of preconception counseling. ... Relevant records of the index pregnancy (group I) were reviewed for cervical dilatation at cesarean delivery, oxytocin use, indication, neonatal weight, and epidural use. The records of the subsequent pregnancy (group II) were reviewed for successful VBAC rates, neonatal weight, oxytocin, and epidural use. RESULTS: There were 1917 patients in the study. The indications for cesarean in group I were ... arrest disorders (80%)... In those with previous cesarean deliveries for arrest disorders with cervical dilatation at 5 cm or less, the VBAC success rate was 67%. It was 73% for 6-9 cm dilatation and 13% for the fully dilated group (P < .05). CONCLUSIONS: Patients who attempt a VBAC may be counseled that a cesarean delivery at full dilatation is associated with a reduced chance of a subsequent successful VBAC. AJP Rep. 2017 Jan;7(1):e31-e38. doi: 10.1055/s-0037-1599129. Validation of a Prediction Model for Vaginal Birth after Cesarean Delivery Reveals Unexpected Success in a Diverse American Population. Maykin MM, Mularz AJ, Lee LK, Valderramos SG. PMID: 28255520 Full free text here. OBJECTIVE: To investigate the validity of a prediction model for success of vaginal birth after cesarean delivery (VBAC) in an ethnically diverse population. METHODS: We performed a retrospective cohort study of women admitted at a single academic institution for a trial of labor after cesarean from May 2007 to January 2015. Individual predicted success rates were calculated using the Maternal-Fetal Medicine Units Network prediction model. Participants were stratified into three probability-of-success groups: low (<35%), moderate (35-65%), and high (>65%). The actual versus predicted success rates were compared. RESULTS: In total, 568 women met inclusion criteria. Successful VBAC occurred in 402 (71%), compared with a predicted success rate of 66% (p = 0.016). Actual VBAC success rates were higher than predicted by the model in the low (57 vs. 29%; p < 0.001) and moderate (61 vs. 52%; p = 0.003) groups. In the high probability group, the observed and predicted VBAC rates were the same (79%). CONCLUSION: When the predicted success rate was above 65%, the model was highly accurate. In contrast, for women with predicted success rates <35%, actual VBAC rates were nearly twofold higher in our population, suggesting that they should not be discouraged by a low prediction score.